Although born a generation apart in different countries, the lives of the two composers represented here share a number of significant commonalities, and make for an imaginative and intriguing pairing. Messian's quartet was premiered in the unlikely surrounds of Stalag VIII during the depths of winter, January 1941. Seventy years hence, his profound music has lost nothing of its effect. It remains a uniquely fresh, breathtaking, and, above all, astonishing work of art. Strongly influenced by Brahms 1891 Trio for the same instrumentation, Zemlinsky's Trio in D minor was composed in 1896 for a competition. To grasp the full extent of the music’s virtuosity requires, perhaps, concentrated listening, but even the casual listener will appreciate why Brahms recommended the work to his publisher, Fritz Simrock, whose eponymous company continues to publish it today. The two works on this disc, Messiaen’s Quatuor pour la fin du temps (‘Quartet for the End of Time’) and Zemlinsky’s Trio in D minor, were composed almost half a century apart in different countries and under radically different circumstances, by two composers whose musical sensibility and expression were as dissimilar as their national and religious identities. Yet despite the diverse nature of these two compositions—Messiaen’s Quartet is modern and quasi-programmatic, Zemlinsky’s Trio conservative and abstract—the lives of Olivier Messiaen (1908–92) and Alexander Zemlinsky (1871–1942) share a number of significant commonalities, and make for an imaginative and intriguing pairing. Although born a generation apart in different countries—Messiaen in France, Zemlinsky in Austria—the circumstances of their separate youths reveal a number of striking parallels. Both came from backgrounds with strong literary leanings. Zemlinsky’s father was an editor and author of a number of short stories and novels, while Messiaen’s mother was a poet and his father an English teacher who pioneered the translation of Shakespeare into French. Both had fathers who encouraged their musical ambitions and each pursued piano studies and composition at noted conservatories, where they took top prizes for their compositions and keyboard skills; Zemlinsky as a pianist, Messiaen as an organist. And no less significantly, both came of age in musical capitals—Messiaen in Paris, Zemlinsky in Vienna—where their promise was recognized and their careers launched. World War II also had a profound effect on the life and work of both men, albeit at very different stages of their careers. Both suffered indignities meted out by the Nazi regime, Messiaen incarcerated in a prison of war camp, Zemlinsky stigmatised and his music forbidden to be played when he was consigned to the infamous roll call of Entartete Musik (‘Degenerate Music’). And each demonstrated an irresistible, inner need to compose in times of chaos and hardship. Messiaen’s Quartet sprang from his months as a prisoner of war between 1940–41. Zemlinsky’s Trio, by contrast, was composed 45 years earlier, during a time of great success and even greater promise for the young composer. It was only years later, ensnared in the Nazi web to suppress “degenerate” art, that Zemlinsky, like Messiaen, found himself living in a world turned upside down. And yet, like the fabled lotus flower emerging from the muddy swamp, for a time both men managed to rise above their circumstances to produce works of great power and depth. Nevertheless, these were two very different men whose intellectual and aesthetic approach to music ostensibly shared little in common. Of the two, Messiaen was the more progressive. An organist and teacher by profession, he drew inspiration from a diverse and eclectic range of sources—from Debussy and Stravinsky, to Hindu rhythms, ancient Greek metres, and even birdsong. Much of his work reflects his deeply religious faith and his experimental nature is evident in his composing for ondes martenot (an electronic instrument created in 1928) and even electronic tape. Zemlinsky’s musical vernacular, by contrast, grew directly out of his conservatory training, which, in turn, had its roots in the Classical tradition embodied by the music of Haydn, Mozart and Beethoven. Zemlinsky’s gifts as a composer were also matched by his talents on the podium. His widely appreciated skills with a baton led to a series of noteworthy conducting posts and won him consistent praise for his interpretations of both the standard canon and the music of his contemporaries. Zemlinsky’s own music became markedly more progressive in the early decades of the 20th century even as his lyrical nature kept his experimentation with modernism in check. The Trio in D minor (Tracks 1–3) was composed in 1896 for a competition sponsored by the Tonkünstlerverein, one of Vienna’s then most vital music societies. At the time, Johannes Brahms, the society’s president and the competition’s underwriter, exerted a pronounced influence on Zemlinsky’s musical thought, as is clearly evidenced in the Trio. Brahms’ Trio for Clarinet, Cello and Piano of 1891 proved an ideal model for the young Zemlinsky, who not only looked to the earlier work’s instrumentation for guidance, but found inspiration in the music itself. Like Brahms, Zemlinsky gravitated toward minor keys to exploit his own ensemble’s dark, haunting qualities, most clearly revealing his allegiance to his elder mentor in the Andante. Like Brahms, Zemlinsky set his second movement in D major (Track 2), and similarly opens with a soaring clarinet melody offset by a rhapsodic, gypsy-inspired middle section. 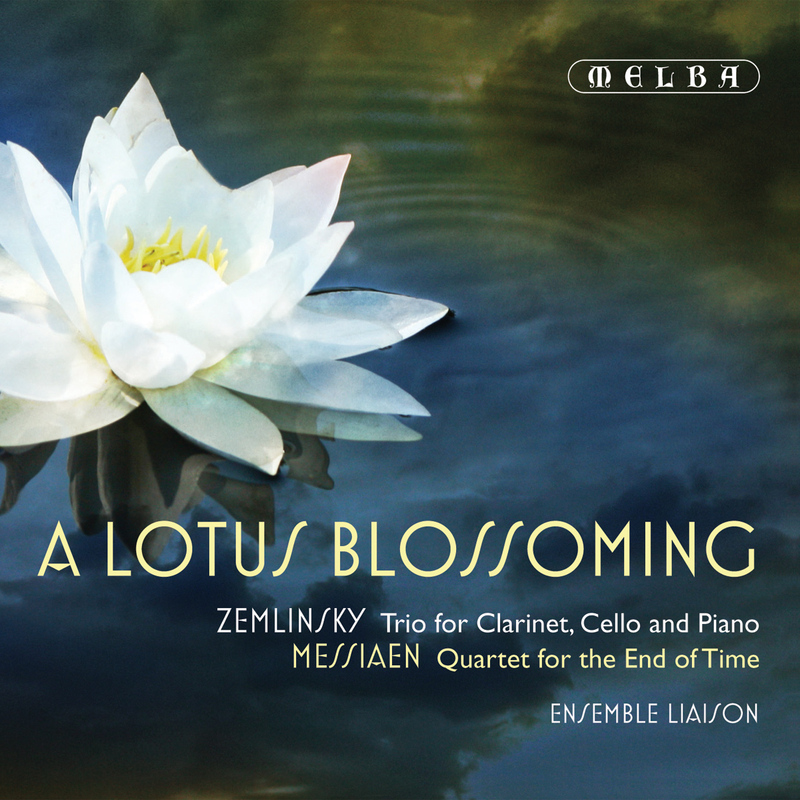 The Trio’s themes, however, are quintessential Zemlinsky, and his mastery of thematic development is already abundantly evident. The three opening pitches (D–E–F) serve as building blocks for the composition, from the first movement’s themes and ensuing musical dialogue to the work’s conclusion, where Zemlinsky combines fragments of the finale with this opening material. To grasp the full extent of the music’s virtuosity requires, perhaps, concentrated listening, but even the casual listener will appreciate why Brahms recommended the work to his publisher, Fritz Simrock, whose eponymous company continues to publish it today. In the years that followed, while Zemlinsky looked to other genres to express himself—songs, choral music, string quartets, operas and symphonic works—it was as a conductor that his profile developed. Thirty years spent in the service of opera houses and conducting symphony orchestras came to an end in 1931, when the Nazis closed Berlin’s Kroll Oper, the last theatre in which he would ever work. Three years later Zemlinsky, who had long since renounced his Judaic heritage, seemed poised for an artistic breakthrough when the Nazis abruptly silenced his seventh opera, Der Kreidekreis (‘The Circle of Chalk’) after it had opened successfully in houses across Germany. Branded as “degenerate”, a consequence of both the opera’s contentious subject matter and Zemlinsky’s family background, Zemlinsky’s music fell victim to the National Socialist agenda to eliminate anything deemed threatening to the German Volk and Reich. His fate sealed, thus began Zemlinsky’s inevitable descent into oblivion. As he receded from Europe’s musical stage, Zemlinsky turned increasingly to his own music, composing prodigiously even as his family made plans to flee the encroaching Nazi threat. His Fourth String Quartet, the Sinfonietta and his setting of Psalm 13 (which poignantly asks: “How long, O Lord / Will You forget me forever?”) are among those works composed in the shadow of darkening European skies. Isolated and despairing, in 1938, Zemlinsky and his family emigrated to America, where he continued to compose and vainly sought interest in his work. His last years were beset with a mixture of declining health and continued professional disappointment. Four years after his arrival in America, Zemlinsky died, forgotten, in the town of Larchmont, NY. In 1931, the 22-year-old Olivier Messiaen was named organist of Trinity Cathedral in Paris. Within five years he was also serving on the faculties of the École Normale de Musique and the Schola Cantorum. But the same war that erased Zemlinsky from European musical life eventually found Messiaen in the service of his country. Declared unfit for active service because of poor eyesight, he was posted to Verdun to work as a medical orderly. It was there he met Étienne Pasquier, a cellist, and the clarinettist Henri Akoka, two of the musicians who would eventually help determine his Quartet’s instrumentation. On 10 May 1940, German military manoeuvres forced the three musicians to flee. Ten days later, they were captured and sent, along with their fellow prisoners, on a gruelling 43-mile march to Nancy. From there they were transported to Stalag VIII A, a prisoner of war camp in Lower Silesia, Germany, where Messiaen met the violinist Jean le Boulaire. The next seven months in captivity brought food shortages and a brutally cold winter. Suffering from malnutrition, Messiaen endured painful chilblains and the dispiriting loss of hair and teeth. Seeking refuge in a world he knew, and finding inspiration in the tenth chapter of the New Testament’s ‘Book of Revelation’, he set about making music in the barracks of Stalag VIII A. The Quartet for the End of Time was the result. Like Zemlinsky’s Trio, Messiaen’s Quartet (for clarinet, violin, cello and piano) is a relatively early work in the composer’s career, and one that incorporated techniques upon which he would build in the years ahead (Tracks 4–11 ). The concept of time—or the end of it—is at the heart of the composition, and not simply for the religious-programmatic material it offered, but also from a consideration of its technical vocabulary. Time, as dictated by a definable rhythm or pulse, had, literally, governed the pace of Western music for more than three centuries by the time Messiaen found himself a prisoner of war. Yet it is precisely this element that he seeks to undermine throughout his Quartet. From the outset, the concept of continuing, definable time is absent, as are traditional melody and harmony. Drawing upon non-Western rhythm and metres, Messiaen forged a new rhythmic language. The First movement, for example (Track 4), is an ostinato (a repeating pattern) based upon an ancient Hindu signature, while the Sixth (Track 9) relies on a rhythmic palindrome (which Messiaen termed “non-retrogradable”), its pulse identical both forwards and backwards. Elsewhere, Messiaen creates the impression of time standing still through the interminably slow tempos found in movements 3, 5 and 8 (Tracks 6, 8 and 11 ). of birdsong —such as that heard at the Quartet’s outset—to give the impression of the arrival of dawn. He also explored the connection between harmony and visual colour, likely a result of his having been prone to synaesthesia, a neurological condition that unexpectedly links together separate sensory perceptions. Messiaen claimed to experience certain chords as colours—such as the “blue-orange” chords of the Quartet’s second movement—and also associated tonal hues with specific musical modes (notes arranged according to their intervallic relationships). Although he would build on all these concepts in the years that followed, the Quartet, which also serves as a grand testament to his unwavering Catholic faith, harnessed them all to illustrate the violent destruction of the world and its eventual redemption in sound. The Quartet was premiered in the depths of winter in January 1941. Although various myths have arisen as to the specifics of the occasion—which include a cello with only three strings and an audience that numbered anywhere between 300 and 5,000—the effect of the performance on all who heard it was direct and immediate. Overcoming frigid temperatures and the limitations of their inadequate instruments, Messiaen and his colleagues left those in attendance—doctors, farmers, factory workers and even German guards—impressed, bewildered and dazed. For 50 minutes, the inmates of Stalag VIII A were treated to a performance unlike anything they (or anyone else, for that matter) had ever experienced. Ethereal and otherworldly, relentless and violent, the music temporarily transported them from their brutal environment beyond the prison gates to a better, more humane place (or at least the tantalisingly elusive prospect of it). Repatriated in the spring of 1941, Messiaen returned to Paris where he gradually regained his health, and resumed a career as organist, teacher and composer. In June that year, the Quartet received its official premiere in Paris, at a concert celebrating Messiaen’s return to France. The gravity and impact of the performance mirrored that of the camp, leaving the critics awed, confounded and perplexed by the musical language and its religious mysticism. Seventy years hence, Messiaen’s profound music has lost nothing of its effect. It remains a uniquely fresh, breathtaking, and, above all, astonishing work of art.